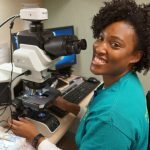 The interdisciplinary efforts of more than 100 people at the University of Mississippi Medical Center (UMMC) made it possible to diagnose Tomeka Harps’ cervical cancer. The insistence of one woman at her church made it happen. 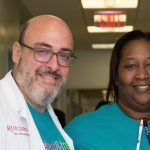 Harps’ cancer was found January 28 as part of the College of American Pathologists (CAP) Foundation’s See, Test & Treat®program that provides free cervical and breast cancer screenings to underserved women. 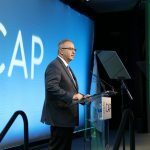 The screenings, along with one for acral melanoma, were offered by UMMC, the CAP, and New Horizon Church in Jackson, Mississippi. 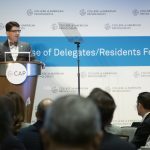 The value of every life is the element that led Kim R. Geisinger, MD, FCAP, and Stephen S. Raab, MD, FCAP, pathologists at UMMC, to seek the CAP Foundation grant. “That one woman with cancer. One person. 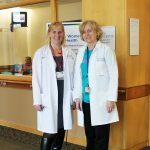 To me, that one lady makes all the difference in the world,” Dr. Geisinger said. After several years of having abnormal Pap test results, Harps faced barriers to health care. 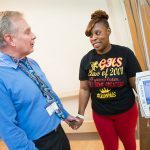 Five years later, her New Horizon congregational care nurse, Ella Jackson, insisted that she go to the UMMC screening. Harps is fortunate the cancer hadn’t spread beyond her pelvis, said Mildred Ridgway, MD, a gynecologic oncologist who leads the GYN team. 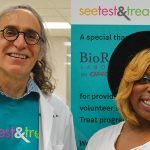 As a physician who volunteered for the screening, she believes that See, Test & Treat is a success if just one patient benefits in the long term. Harps, with children ages 13, 12, and 8, said at 33 she values life more each day. 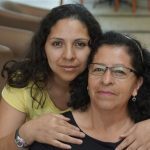 She has now completed radiation therapy, is in the midst of chemotherapy, and then will have brachytherapy. 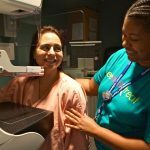 Of the 30 women who received a mammogram, 11 had abnormal readings. Of the 33 who received Pap tests, two had abnormal readings. All participants were screened for acral melanoma, and four were referred for follow-up. Physicians or nurses discussed results with each woman who was then provided with names and contacts for medical providers for follow-up. 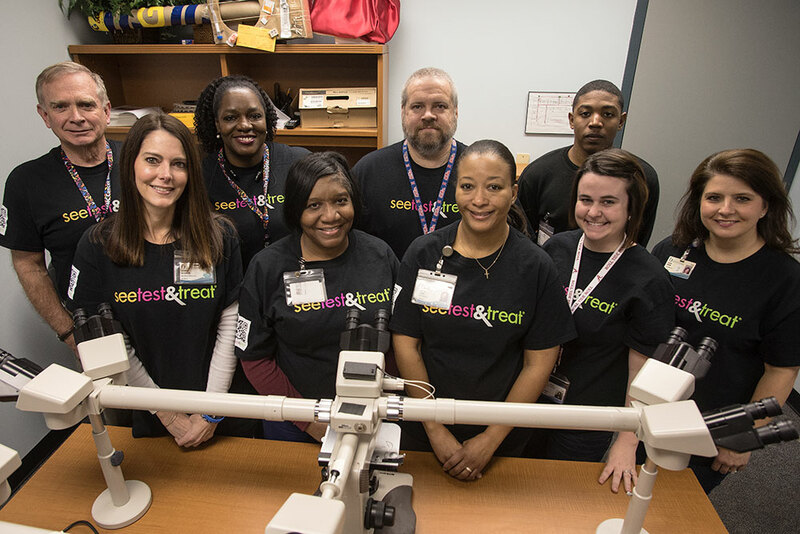 The program also gave pathologists an opportunity to meet patients. Dr. Raab points to the enthusiasm of participants and the women who received testing. 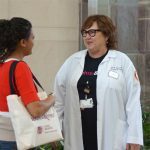 Several referred to “red carpet treatment” they received with students escorting them from one part of the screening to another and with live cooking and exercise demonstrations in the lobby. 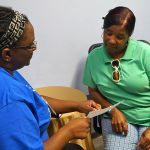 A financial advisor helped women who wanted to see if they qualified for any existing programs such as Medicaid.